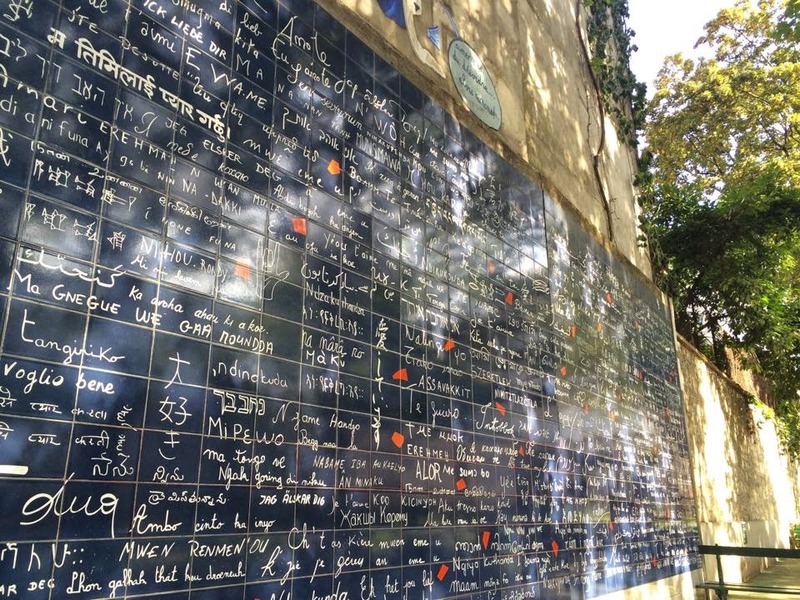 My beautiful niece Brea snapped a photo of the Le mur des je t'aime in Paris, France. I'd never heard of this, so I clicked the link. The web site was in French, so I still didn't know. Thankfully, Brea filled me in. The wall has the words "I love you" written in 160 languages. What a beautiful sight. That made me wonder. How can I show people I love them in 160 different ways? Here are a few. These are easy ways to share love. And there are so many more. 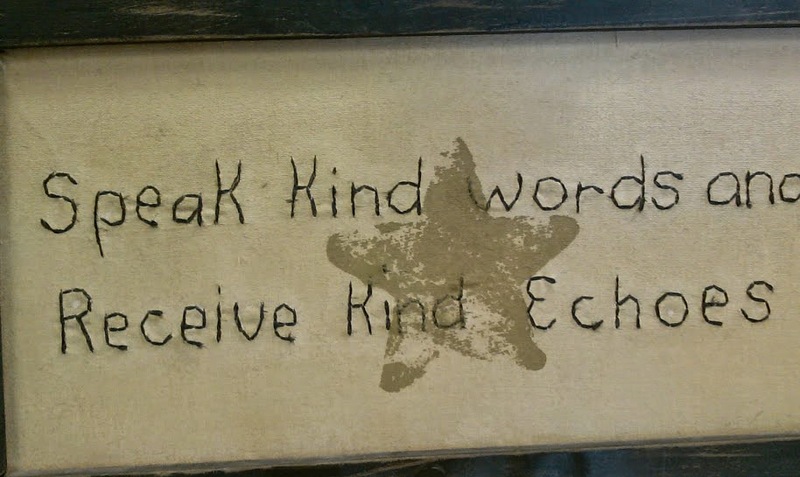 I spotted this at the doctor's office the other day. 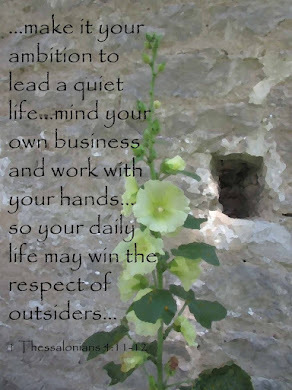 A saying worth remembering. Tim and I like to try out different eateries in the area. 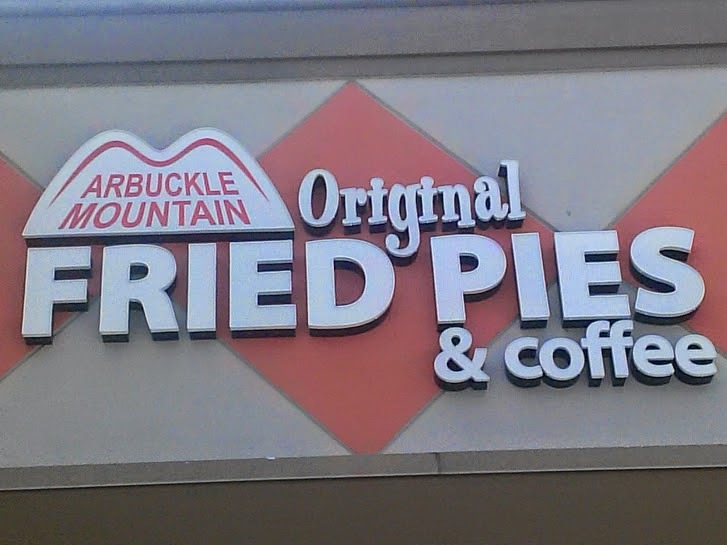 After we grabbed a cheese burger at Five Guys, one of the best hamburger joints ever, we checked out Arbuckle Mountain Original Fried Pies and Coffee. They serve several fruit and cream pies plus pecan. We tried the blackberry and it’s delicious. According to the gentleman working, a fried pie has fewer calories than a glazed donut. Plus they are big enough to split with a friend. I don’t think I could eat a whole one by myself. Tim sipped coffee with his half of the pie and I tried the Earl Grey Lavender tea. Both got a thumbs up. Later, I googled Arbuckles and the Original Fried Pie shop, and discovered that a grandmother first created the pies for ranchers and ranch hands in 1893. They’d pack well and be easy to eat on the job. I can envision her rolling out the round dough stuffing it with meat and vegetables or sugared fruit, folding them in half and frying them up. I love the ingenuity of grandmas. According to my grammy, her widowed mother (my great-grandma) sold her homemade pies at the local grocery to help support their family. If you’re hankering for pie and you live in the area, check out Arbuckle Mountain Original Fried Pies and Coffee next to Jungle Jim’s in Eastgate. Yum! If you’re not in Ohio, find other locations on Google by typing in Original Fried Pies or Arbuckle Mountain Pies. What kind of pie is your favorite?